Location: The Fortress of Luna, East. 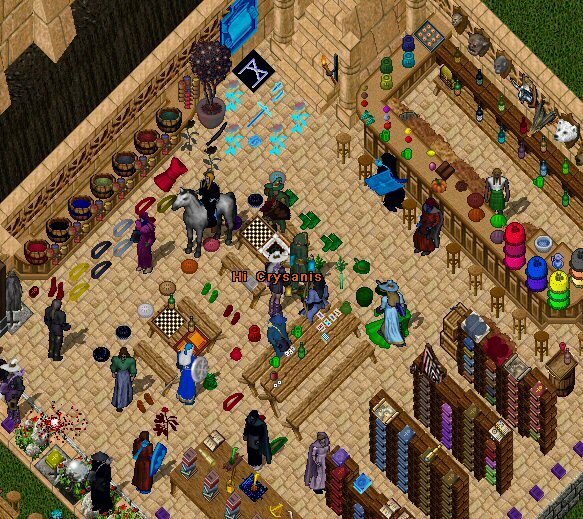 Last night, citizens gathered for “ooh”ing, “aah”ing, and more than one kind of helping of pie as Sara and JINX unveiled the long awaited New Museum and Vendor House in Luna. EM Crysania made an appearance, and did her fair share of “ooh”ing. Visitors for the grand opening were treated to pies and ale but an unexpected provocation resulted in a museum-wide pie-throwing fight! It’s not every day that you’re treated to being able to see items virtually impossible to see anywhere else, and certainly not every day you do so while trying to dodge flying custard. 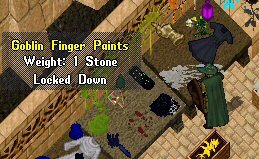 Fortunately, only a handful of museum artifacts were broken during the fight, and none of value. But, hold… who was this with pie in her face? Not refined, distinguished EM Crysania… Whose righteous retribution might she have provoked that knocked her to the ground and left her picking crust out of her hair? Citizens! 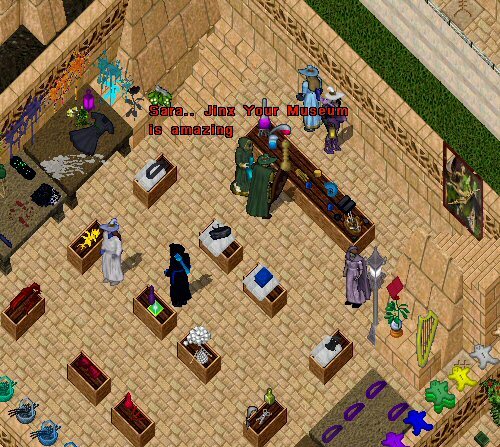 Be sure to stop by Sara and JINX’s New Museum and Vendor Mall in Luna. 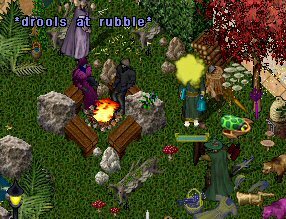 Here is an extremely short, random list of some of the unique things you’ll see! 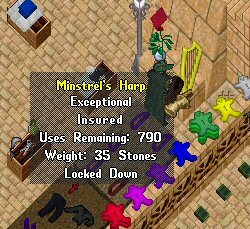 Be sure to note the Minstrel’s Harp, which may make many a bard envious, for there are only three known remaining in existence (Seppo’s doesn’t count!). I Died Multiple Times on Baja and All I Got Was This Lousy Shirt! Thankye, Sara and Jinx for creating such a marvelous public service building!